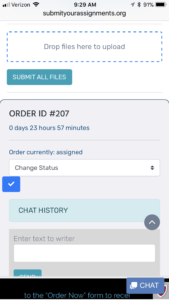 What’s Happening: You want to know the time-frame from when you place your order, to when it will be assigned to a writer. 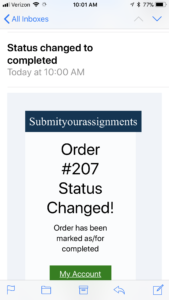 Answer: The assignment process takes place immediately after you pay for your order. 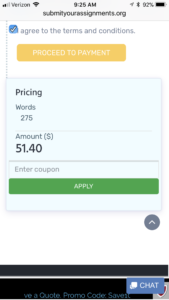 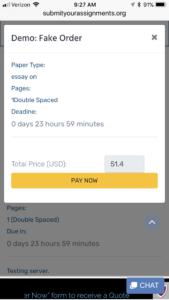 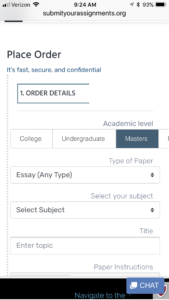 Once payment is made, the assignment to a writer can range from 30 minutes to 2 days depending on when your order is due. 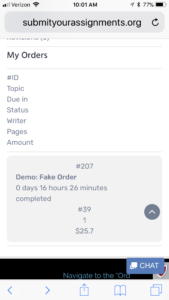 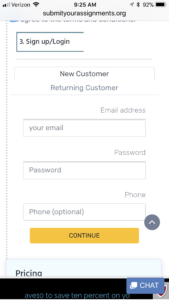 Example: If your order is due in less than 24 hours, it will be assigned within 30 minutes after your payment is made. 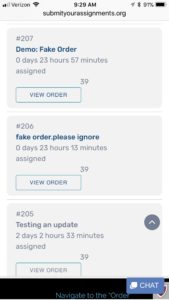 We do not work on orders until they are paid.